Our Chamonix Alpine Climbing Holiday is ideal for mountaineers who have completed an alpine intro course, or done some UK rock/winter climbing before and now want to cut their teeth on longer, more technical routes and high quality alpine summits. 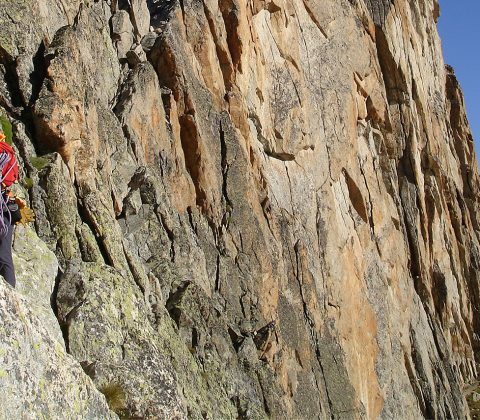 Chamonix is justly famous for its high concentration of classic routes across all grades and styles of climbing: classic multi-pitch rock routes, ice gullies and faces, mixed routes, and classic alpine ridges on snow and rock are all on the tick list. We had a brilliant time with Phil, he was a great guide and a lot of fun. The routes we did like the Dent du Geant were fantastic and exactly what we asked for – i.e. something that we could not do on our own. He also built us for an ascent on Mt Blanc well and somehow we managed to get up and down on our own! Thanks again, a really memorable holiday. Wow guys, I’ve just had a few weeks to reflect on my week with Big Tim and young Ben – awesome! We had a week of perfect weather and cool and assured guiding and leadership from Tim. Cruising around above Chamonix and then being tested totally on the harder pitches on the Peigne and Geant – it really was just the week I needed. After a few years without being guided, having fun on easier stuff with mates, it felt like money well spent. I feel that I certainly improved my all round alpine skills and got up stuff that I couldn’t possibly of led myself. Thanks Guys for getting it all sorted and a big thank you to Tim. We had a great time with both Rob and with Al. Many thanks to them both as well as to you, Rich for help organising things. Chalet Tissieres also looked after us very well. 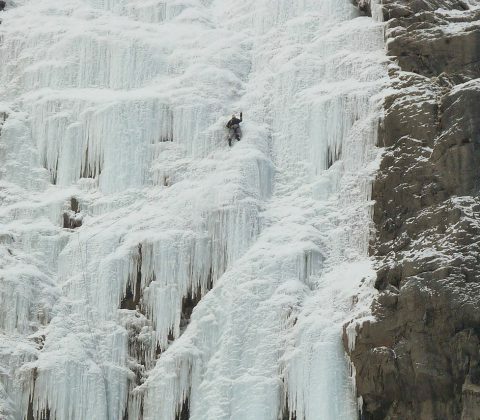 The guiding was great – we learned quite a lot without it being too “instructional” and … the weather was exceptionally favourable so we managed a superb program of enjoyable and yet challenging (for us) routes. Matthew is already wondering when we can tackle other, slightly harder routes such as the Matterhorn and the Eiger. I think we will give it another couple of years but we do hope to be back in due course. I’m back in London: life here is not quite as exciting as climbing the chere couloir! Maybe I’ve acquired a new addiction! I loved it actually, Mark did a great job and made the most of the variable weather to do some great stuff. I also learnt how to climb at pace, or somewhere starting to approach it, at least. The course with Al was fantastic too, and it was great to be guided by people clearly at the top of their game and happy to share their knowledge and skills. If I’m lining up another trip next year or I’m in the Chamonix area again for e.g. skiing, I’ll definitely get in touch. We just wanted to touch base with you before we have too many beers this evening and let you know how much we have enjoyed our week with Lori. He has been a great guide and taken us to some awesome places as well as managing to keep both Giles (who is far more experienced than me) and I happy. We both learnt a lot, had some great climbing and really enjoyed his company. We very much hope to spend time with him again on a future Alpine Guides adventure. Thanks again for organizing a great week, we are already looking forward to Stubai! Climbing at 2:1 all week allows us to tailor the program to your particular ambitions, ability and the prevailing mountain conditions, with typical grades in the range PD+ to AD+. This is an intermediate level trip. To take part you should be at Fitness Level 2 and Tech Level 3 (see our Fitness/Experience guidelines below). To get the most out of this course you need to either have prior alpine experience or have climbed at least Scottish II in winter and UK rock grade Severe (or equivalent). Our meeting point and Chamonix valley base is Chalet Tissieres in Les Bossons, just 5 mins by car/bus from Chamonix centre. The chalet stands in its own 2000m2 alpine garden with stunning panoramic views of Mont Blanc and the entire Chamonix valley. It offers simple but comfortable shared rooms, a large lounge/dining area, honesty bar, and a huge balcony for al fresco dining on warm summer evenings: a great place to relax after a big day in the mountains. The chalet serves a buffet breakfast and varied 3 course evening meal**, with special diets catered for upon request. Rooms are provided on a twin (or occasionally 4-6 person) sharing basis, but if you prefer a single room please let us know and we will confirm availability. **The chef has one night off each week – this day will include bed and breakfast only, but the chalet will recommend an alternative local restaurant. Hotel details can be found on our Accommodation page. You should arrange outward travel on Sunday, arriving by 5-6pm latest in time for the briefing at your accommodation. Your guide will run through safety routines and kit checks, as well as hand out any rental equipment for the week, before we go on to discuss everyones ambitions for the week, together with the current weather and mountain conditions and how these affect our planning. We’ll also have maps and guidebooks to show you. If you’ve any further questions or last minute requests, then this is the ideal time to bring them up before we head on to dinner. PM Overnight in the valley. Ascent of a high quality mountain route in order to acclimatise and brush up on alpine skills. Day 1 is normally a warm up day in order to find your feet on alpine terrain again and get used to the altitude. 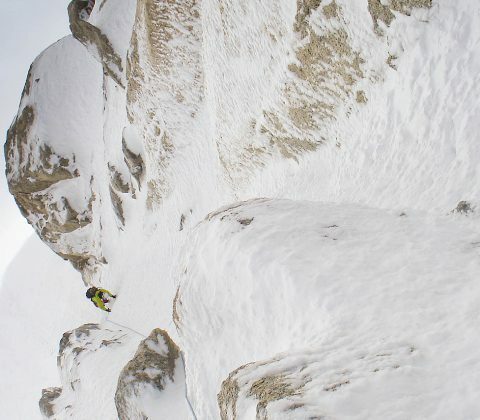 Typical outings might include a mid altitude rock route in the Aiguilles Rouges or Chamonix Aiguilles, an alpine ridge climb like the Aig D’Entreves, or a shorter face climb like the Aig du Toule NW Face. 2 Day Trip – staying in an alpine hut overnight. Our plan is to climb 2 good quality routes, with an early alpine start on the second day in order to attempt a longer, more involved objective. Here are some typical objectives – this is just a tiny sample, as there are thousands of good climbs at all grades in the range. Please let us know any climbs in the Mont Blanc range that you have done before, so we can plan accordingly. Tue PM return to Chamonix. Overnight in valley. 3 day trip – staying in huts Wed and Thur nights. If you have any particular ambitions or specific objectives in mind for the week, then please let us know when you book – so that we can tailor the itinerary accordingly, in order to give you the greatest chance of success. Fri PM – return to the valley for a debrief, exchange of photos etc and farewells. Early departures – if you choose to depart on Friday night, please leave plenty of time for repacking and airport transfer. You will typically be back at the hotel by 4-5pm at the latest, so choose a flight departing after 9-10pm.